I'm still upset about something. Perhaps I'm overreacting. You be the judge. Last week, the Lutheran Day School that my kids and nephew attend took some of its students to see a local Catholic High School's production of "Jesus Christ Superstar" during Lent -- although I could definitely argue that the time of year is largely irrelevant since seeing it at any time of the year is a really bad idea (it just seems worse given the production's subject matter and how it contrasts with what we Christians celebrate annually this time of year). Now, don't worry, I'm not reverting back to my pre-Lutheran, old Evangelical days when I would have a knee-jerk reaction to want to boycott and completely avoid anything and everything that wasn't distinctly "Christian" per se. After all, we've raised our children to believe the Bible, but doesn't mean we believe in putting them in a bubble all the time either. However, I do want to question the decision of a Christian School (a Lutheran one that should know better) to expose some of its students to such a blatantly blasphemous display of un-Biblical, anti-Christian rhetoric and actions regarding the final days of Jesus Christ. But Jesus Christ Superstar is not a Christian musical. It technically is about Jesus, and the characters and events are relatively closely based on the Bible, but that’s about as much as can be said for its religious value. 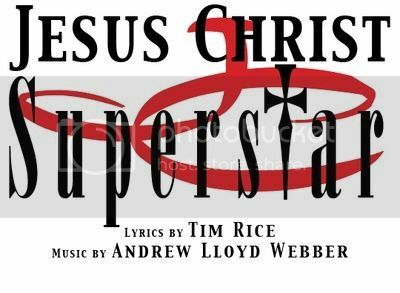 It is my understanding that neither Andrew Lloyd Webber nor Tim Rice consider themselves to be Christians or claim that Jesus Christ Superstar is a specifically religious movie. Although there isn’t anything that directly denies Jesus’ divinity, there certainly isn’t anything that affirms it, either, and there is no discussion of His salvific work. Very few of the lyrics even come from the Bible. Much of the musical is shown from Judas’ point of view, and his frustration with Jesus is the main theme. Is The Rock Opera 'Jesus Christ Superstar' Biblical? Upon closer inspection, however, the biblical failings of Jesus Christ Superstar become apparent. When a story is retold, a certain amount of interpretation is required. The author’s ideas, presuppositions, and opinions are injected. In this retelling of Jesus’ passion, the character and motivations of both Jesus and Judas are re-imagined and reinterpreted. Judas has the first song. In it, he complains that Jesus has been caught up in His own fame and rages over the fact that Jesus won’t listen to him. Judas calls Jesus’ followers “blind,” accuses them of twisting Jesus’ words, and expresses a desire to “strip away the myth from the man.” Considering these words come from Judas, we might be prone to dismiss them as a villain’s distortion. However, the insistence that Jesus is “just a man” is repeated later by Mary Magdalene in one of the opera’s most famous songs, “I Don’t Know How to Love Him.” ... In a later scene, Jesus is surrounded by people who need healing. No one is healed; rather, an overwhelmed Jesus cries out, “There’s too many of you. There’s too little of me. Leave me alone!” When Judas meets with the Jewish council to betray Jesus, he makes it clear that he is only trying to “save” Jesus, who has let His own popularity spiral out of control. He takes the money they offer him unwillingly. During the Last Supper, the disciples dream of lasting fame. Jesus bitterly accuses His disciples about not caring about Him: “For all you care, this wine could be my blood! For all you care, this bread could be my body!” He tells them to remember Him when they eat, but then He says, “I must be mad, thinking you’ll remember me!” After three years of trying to serve God, Jesus has lost His original vision. Considering becoming a martyr, Jesus selfishly asks, “Will I be more noticed? What will be my reward?” This statement is in direct contrast to Judas’s unselfishness in not wanting a reward for his betrayal. At the end of His prayer, Jesus finally submits to God’s plan—sort of. The song ends with an equivocation: “Take me now, before I change my mind.” When Jesus is arrested, His disciples talk of fighting for Him. Jesus rebukes them with these words: “Stick to fishing from now on.” This is as close to the Great Commission as the opera ever gets. The opera ends with Jesus’ crucifixion. There is no resurrection. Of course, this is not biblical. Jesus is more than just a man; He is the Son of God (John 10:30). Jesus never lost sight of His mission to seek and save the lost (Luke 19:10), which required His sacrificial death on the cross as payment for our sin (1 Peter 3:18). Jesus did not just die; He rose again (1 Peter 1:3). Jesus Christ Superstar is more than a popular opera that happens to get some facts wrong. It is an attempt to rewrite history. It makes the traitor Judas Iscariot a victim and reduces the Lord Jesus Christ to a burnt-out celebrity who is in over His head. But it really made me think about the other hoaxes that are floating around out there -- false religions, the Gospel of Mary Magdalene, the recently “discovered” Gospel of Judas, the James Ossuary, the Shroud of Turin, the Black Madonna, and so on and so on. And then tonight I discovered another thing to add to the list -- I went to Stage West and saw Jesus Christ, Superstar. I had no idea what I was getting into, and I’m just reeling. What a blatant mockery of what our Saviour suffered! So many misquotations and outright lies -- I’m just stunned. A pretty common refrain thought the show was “he’s just a man”, and there was no mention of Jesus’ divinity as fact at all. There wasn’t any resurrection scene, just a glimpse of him through the stage curtain. Even the movie the Passion down played the resurrection when really; I think that’s the most important part of the story! There were a lot of subtle comments taken just enough out of context to not quite sound the way Christians commonly believe, but there were some things that Jesus supposedly said that I’ve never seen the in the Bible! Grrrrrrr! When I was watching the play, all I could do was cry, and then when we left I was too emotionally stunned to know what to do, but now after writing this all out, I’m just plain mad! This show is a big Broadway thing that millions of people have seen, from Broadway right down to school plays, and this terrible, mocking display might be the only exposure they have to the Name of Jesus, and it’s twisted almost beyond recognition – it doesn’t bear much resemblance to the Jesus I know and love. Undeniably, the rock-opera has raised questions concerning Christ in the minds of young and old alike. Inasmuch as it may cause a degree of genuine interest in Christ, it could have a positive value. But, what precise sort of interest in Christ does Jesus Christ, Superstar itself represent? What sort of an image of Christ does it give? Is this rock-opera a proper medium through which a critical enquirer can make an honest investigation of the claims of Christ and really come to know Him better? Will its devotees (as one priest so pontificated on a recent TV panel show) really be able "to relate to Him better now" that the rock-opera has revealed Christ to be "more fully human" than the old-fashioned "Second Person-of-the Blessed Trinity-bit" could do? Furthermore, what is the potential outcome of Jesus Christ, Superstar's use in the hands of those modern questioners so disdainful of orthodox Christian teaching and the Magisterium of the Church? Jesus Christ Superstar -- An Utter Blasphemy!!! Jesus Christ Superstar was the first musical by Andrew Lloyd Webber and Tim Rice to be produced for the professional stage. This 'rock opera' is highly questionable, insulting to Christians and ultimately blasphemous to Christ. Leaving aside the medium of an opera and a rock opera at that, when the name, character and work of our Saviour Jesus Christ is slandered, in the fashion that it is in this opera, we need to raise our objection to it. It would be a dereliction of duty to Christ to remain silent. If someone slanders the name and character of our best friend we would be so rightly incensed that we would have to show our disgust and opposition to such a thing. In highlighting our opposition to this opera we are showing our disgust at those who slander the name and person of Jesus Christ. Jesus Christ Superstar is a rock opera about the last seven days of the life of Christ before His crucifixion. Critics have given it rave reviews. Even some churches have sung its praises. Some have even hailed it as a means of presenting Christ to young people in a way they will understand and accept. However, no one who examines it in the light of Scripture can be happy with the opera. It is impossible to see the Superstar as anything but one of the "false Christs" of whom the Lord Jesus Christ warned us (Matthew 24:24). The fact is that Jesus Christ Superstar is a conscious blasphemy against Christ. According to the plain statements of its authors, it is a deliberate repudiation of the Christ of Scripture. Tim Rice, who wrote the words of the opera, stated, "Although the gospels seem largely accurate in their telling of the events of the crucifixion, one can see great flaws in their portrayals of both Christ and Judas." (Seventeen Magazine, March 1970, p.170) Rice produced a text that flagrantly denies the most important things the Gospels teach about Christ. He presents a false Christ. Before you watch Jesus Christ Superstar you should know that it gives Satan's description of Christ. Before you watch Jesus Christ Superstar you should know that it presents Christ as a mere man, and an immoral one at that. Before you watch Jesus Christ Superstar you should know that it accuses God of terrible sin. Jesus Christ Superstar presents a Christ who died in defeat and mental turmoil. It leaves him on the cross, a failure. That is the devil's version of the story of Christ. It is a lie through and through. This was what the young and impressionable hearts and minds were exposed to. Is that really the Jesus Christ, our Lord and Savior, that the Bible describes for us? Is that how we Lutherans view Christ, His Gospel, His Justification of us, His Sanctification of us, and His Sacraments? Of course it's not! It all seems a little too irreverent, doesn't it? You bet it is! It's nothing but pure blasphemy and heresy! I'm frustrated and upset due to all the questions swirling in my mind. Why in the world would any Christian be ok with this sort of Satanic depiction and portrayal of Christ!?! Why would a Christian High School choose to do this musical when there are so many other more appropriate ones they could've done? Why would a Christian High School decide to schedule the performances during Lent and the Easter season? Why would a Christian Private School want to risk introducing confusion and doubt into the minds of its students? How would hearing and seeing any of what is depicted in this story be helpful to these influential hearts and minds of such little ones entrusted to their care? What would be the desired benefits? What did they hope to get out of going to see such a performance like that? If I were to really try to put the best construction on things, then perhaps the educators at the school intended to take some students to see this musical so they could use it as an opportunity to be more discerning. Come to think of it, and in all fairness, yes, this was precisely the stated goal and intention as evidenced by their own written admission on the Permission Slip that I saw that went home with each child. There were some comments about wanting to teach the kids how to "think critically" in a largely anti-Christian and postmodern world that is generally hostile to believers like us. Plus, they did give parents the option of keeping their child home if they did not feel comfortable sending their kids to see it. Great! Those are all good and noble desires particularly for a Christian School. Still, that show go without saying, shouldn't it? If proper catechesis were already taking place in the classroom and in the church to reinforce what was already being taught at home, then there wouldn't be any need whatsoever to manufacture an opportunity to teach discernment, because discernment would already be happening! Ironically, doesn't it show a complete lack of discernment on the part of the adults at this school who should know better, and who should have the backbone to remain steadfast and be willing to explain to anyone why they don't think it's a good idea to arrange a field trip to see such a depiction of The Greatest Story Ever Told? Again, maybe it's just me, and forgive me for being so blunt, but I find that assertion to be largely disingenuous for two main reasons. First, the fact that they knew they had to issue a unique disclaimer on the Permission Slip that went home to parents should indicate that they are all completely well aware of the concerns regarding this musical/play and that those concerns are truly valid too. Second, the assertion that this is an "intentional" attempt to teach students how to be "more discerning" when it comes to matters of our shared and cherished faith" rings a little hollow to me when there have been so many recent examples of the school's complete lack of discernment on other issues (issues that were brought to the staff's attention, and yet, subsequently ignored). So, I'm left with more questions than answers. While I agree that it's important for Christians to learn how to be "more discerning" (and to teach their children how to be that way as well) so that we can clearly explain to others not just WHAT we believe, but WHY we believe it, I simply cannot support any decision that thinks taking young children to see something as blasphemous and controversial as this can have any redeeming value. Wouldn't the money the parents paid for tickets and transportation be better spent elsewhere? As a Parochial School, I can immediately think of several ways in which that money could've been better spent during Lent and this Easter season. Finally, maybe it's just me, but if a Lutheran Day School is really all that concerned about teaching its students how to be "more discerning" in an increasingly hostile and anti-Christian world, then why don't they just spend more time teaching the Small and Large Catechism to its students? Sure, there's a daily Religion Class and a Weekly Chapel, but why isn't that enough? Maybe it's just me, but I thought that Lutheran Day Schools were allowed to use distinctly Lutheran resources in catechizing its students too, but maybe that's frowned upon in this day-and-age where Syncretism and Unionism reigns supreme. It's sad too, because they have no problem supporting non-Lutheran events and schools. For me and my wife, the choice was easy. Gotta love the "LINO" #Lutheran Day School that sent its students to see "Jesus Christ Superstar" today. During #Lent. Days before #Easter. Just an odd choice this time of yr b/c of all the liberties it takes in telling the story from Judas' point of view and making it about him. Does nothing except raise doubts. Questions Jesus' identity/ministry and shows a complete lack of reverence for the #resurrection too. Again, I'm left wondering, which is worse -- the Christian High School that decided to commit to putting on this performance several times during the Easter season for the general public or the Christian Day School that turned a blind eye to such spiritual garbage and showed its support for it by attending with its students? Anything that proclaims to be "Christian" in the slightest sense, and yet, butchers God's Word, presents a Jesus Christ who doesn't actually exist (while mocking Him in the process), take an irreverent view of the entire Gospel, and leaves out any mention of the Resurrection during the Church's holiest time of the entire year, is not something that any of us should be eagerly supporting let alone exposing our children and grandchildren to regardless of the "good intentions" and "legitimate reasons" we use to justify such behavior to ourselves and others. We can do better than this if teaching our youth to be "more discerning" is really the issue like we want to claim that it is. In a Lutheran layman's terms, I'm sorry, but for all the reasons cited above, I just don't see any redeeming value in taking Christian kids as young as 10-years-old to see and sit through the entire production of "Jesus Christ Superstar" given how incredibly blasphemous and heretical the whole thing is.